War History online proudly presents this Guest Piece from Jeremy P. Ämick, who is a military historian and writes on behalf of the Silver Star Families of America. 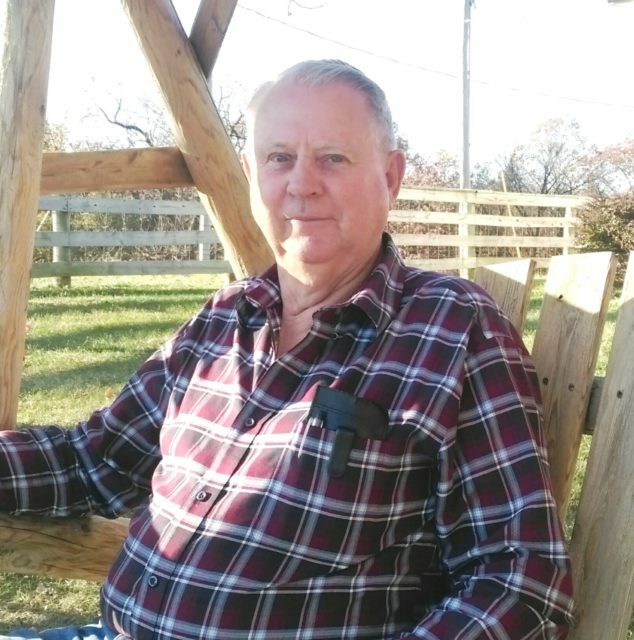 Graduating from Eldon High School in 1962, Kelley Shoemaker spent the next three years working for a local automotive parts company. Not being called up for the military draft, he assumed the US Army did not need him for the developing Vietnam War. Most of his friends who were the same age had gotten their draft notices and had already been sent off to the war. However, in 1965, when he was 21 years old, he was drafted into the Army and sent to Fort Leonard Wood for basic training. Shoemaker’s younger brother also received a draft notice and went on to serve with the Army in Germany. Despite his protests, he remained at the Missouri Army post, where he completed eight weeks of clerk training. Upon graduating, he received orders for Korea. A friend told him that if he signed up for Airborne School, it would waive any previous orders and he would make an extra $50 a month. That was just what he did. Shoemaker was soon on his way to Fort Benning, where he spent the next few weeks completing his airborne training and made five successful parachute jumps. He was then assigned to 82nd Airborne Division at Fort Bragg. For a while, he was stuck behind a desk typing reports, but sometimes his sergeant would let him work on vehicles in the motor pool. As a paratrooper, he volunteered for service in the Dominican Republic but instead the Army issued him with orders for Vietnam. Flying into Tan Son Nhut Air Base near Saigon, Vietnam, in mid-May 1966, Shoemaker was assigned to the administration section of Company A, 173rd Airborne Brigade located on Bien Hoa Air Base several miles northeast of Saigon. Frustrated at once again being behind a desk he was then assigned to a support group operating near the Cambodian border. There he performed such tasks as driving in convoys or transporting supplies. Shoemaker also helped his company sergeant to deliver photographs and information for the Stars and Stripes Newspaper in Saigon together with delivering intelligence reports and other important information. 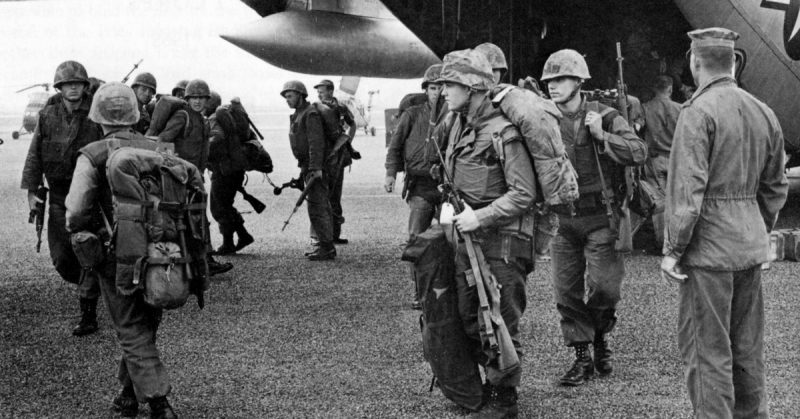 Toward the latter part of February 1967, the 173rd Airborne Brigade participated in Operation Junction City. It was a major military operation involving more than 25,000 troops and intended to batter Viet Cong strongholds along the Cambodian border. 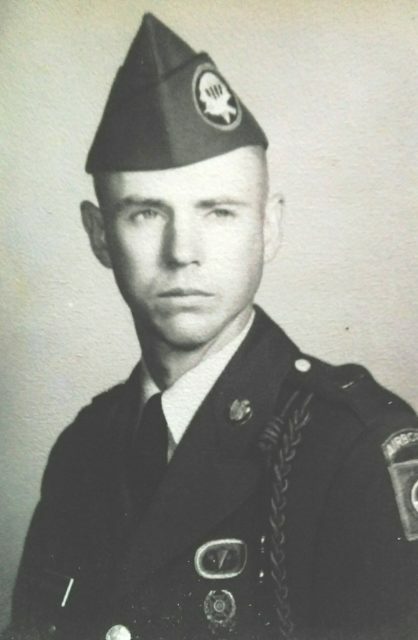 Kelley Shoemaker in his Army uniform in 1966; Courtesy of Kelley Shoemaker. Unfortunately, in the only major airborne operation of the war, Shoemaker did not get to make the combat parachute jump with his fellow paratroopers. Instead, he drove a Jeep with a trailer onto a Chinook helicopter carrying 30 soldiers who were then dropped off in support of the 82-day military operation. He continued to serve in a support role, doing whatever was needed. Around this time a good friend of his Douglas Carl Holland, a combat photographer, was killed by enemy rifle fire. He only had 21 days before he was due to go home. Shoemaker was picking up supplies at Bien Hoa in May 1967. While at the air base, he was told that if he could be ready in 45 minutes, he could process out of the Army and go home. On returning home from the war, Shoemaker married his fiancée, Mary Lehman, and the couple raised two children. The Army veteran went on to enjoy an extensive career before retiring in 2007. Reflecting on his time spent along the Cambodian border during the Vietnam War, Shoemaker affirms there are both memories and lessons learned that have never diminished despite the passage of several decades. He remembers flying in a helicopter to Saigon when there was a body bag lying at his feet with blood running out of it. Before he went to Vietnam, he had never seen anyone starving, but over there he witnessed orphans, little kids, that were truly hungry. They begged for stuff usually thrown away as garbage, but all they wanted was something to eat. It made him realize how lucky he was to be in America.